10 Days best of Rwanda safari holiday takes you to explore the land of a thousand Hills. 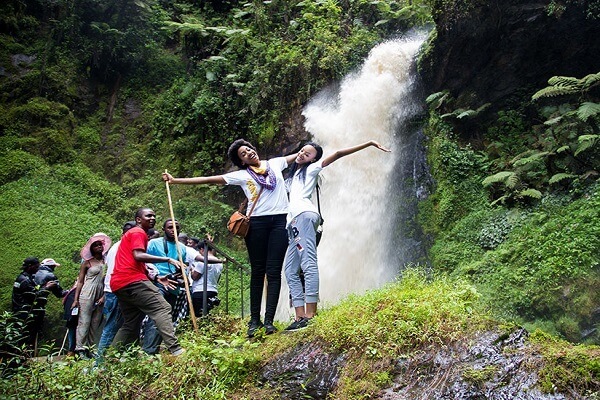 This tour takes you to visit the genocide memorial sites of Gisozi and Murambi, gorilla trekking, golden monkeys, wild chimpanzee tracking and so much more. Pick UP by our company tour guide on arrival at the Kigali international airport and depending on your arrival time, you will have a city tour of Kigali’s history to the Gisozi genocide memorial site, the national library, local markets, craft shops. Lter have dinner and overnight to Kigali serena hotel /Flame Tree Village/ Garr hotel for dinner and overnight. Transfer to Akagera National park – Afternoon game drive. Morning game drive and afternoon boat cruise. Transfer to Nyungwe National park. In the morning you will have breakfast and then hit the road leaving Akagera to Nyungwe National park. You will have en route stopover in Nyanza museum, Butare museum among other areas good for photography and adventure, as well as lunch. Reach Nyungwe in the evening for dinner and overnight at Nyungwe forest Lodge/Nyungwe top view lodge/Gisakura hotel. Wake up to an early breakfast at your hotel then proceed with your guide to the Nyungwe forest headquarters for briefing about tracking chimps. The rangers know the best spots where you can easily track the chimpanzees. As you hike through the forest, you will come across other primates like monkeys, these will excite you as you get closer to the chimpanzees. After a wonderful time with the chimpanzees, you return for lunch and rest. Dinner and overnight at your hotel of Day 1. In the morning go for the breathtaking forest canopy walk; in the afternoon have a community tour of the local surrounding communities. Dinner and overnight stay. Transfer to Volcanoes national park. Wake up to an early breakfast at your hotel then proceed with your guide to the Volcanoes park headquarters as early as 7:30am. After a short guide as regards your expected gorilla tracking conduct the dos and fonts, you will enter the rain forest in search of the mountain gorillas. Once you meet the gentle giants, you are allowed to spend a maximum of one hour with the gorillas then return to your lodge. In the afternoon, you may go for nature walks or cultural walk to the Ib’iwachu Cultural village. Dinner and overnight stay. Boat cruise and transfer to Kigali.